The official date and platform for the launch of Alliance iTeam will be next year at GNEX 2014, but already Alliance iTeam is creating quite a buzz within the timeshare industry. During ARDA 2013 and also the AMDETUR event in Mexico City , the Alliances That Work cloud solution received a surprising amount of attention considering its then early stage of development. The cloud based computing system solution represents the only cloud solution specifically created for timeshare sales and marketing businesses in the market to date and will be exhibited at GNEX 2014 by Alliances That Work – Alliance Sales & Marketing Solutions. 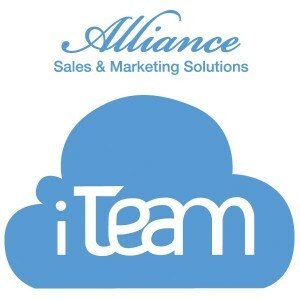 “The benefits of cloud computing such as scalability, cost reduction, productivity, automation and infinite storage are vast and constantly evolving but… Alliance iTeam is the first Cloud computing solution specifically designed for the timeshare industry, which means not just its benefits but also its possibilities are endless” Heather Guffin, President and C.E.O. of Alliances That Work – Alliance Sales & Marketing Solutions. Alliance iTeam is far beyond any application available in the market for timeshare companies today, it is a multi-functional solution that addresses all the major sales and marketing components of a timeshare business. It is the perfect high performance solution to quickly streamline your business, increase efficiency and grow revenue. First of all the cloud solution will reduce business expenditure in regards to infrastructure that is necessary to power a business such as servers and storage. The removal of the on-premise infrastructure principle not only radically reduces costs of purchasing and maintaining the machinery but also helps the environment through virtualization. Virtualization requires less infrastructure and ergo less energy consumption. Imagine 20 buses travelling down a highway each carrying a single person, this is the infrastructure principle of on-premise computing. Now imagine a single bus traveling down the same highway carrying 20 people this is the virtualization of infrastructure utilized through cloud computing and more specifically iTeam. Virtualization is the base technology for deploying cloud infrastructure that enables a lone physical server to simultaneously run numerous operating system images. Server virtualization possesses inherently green advantages through acting as an enabler of consolidation which helps to reduces the overall physical server carbon foot print. 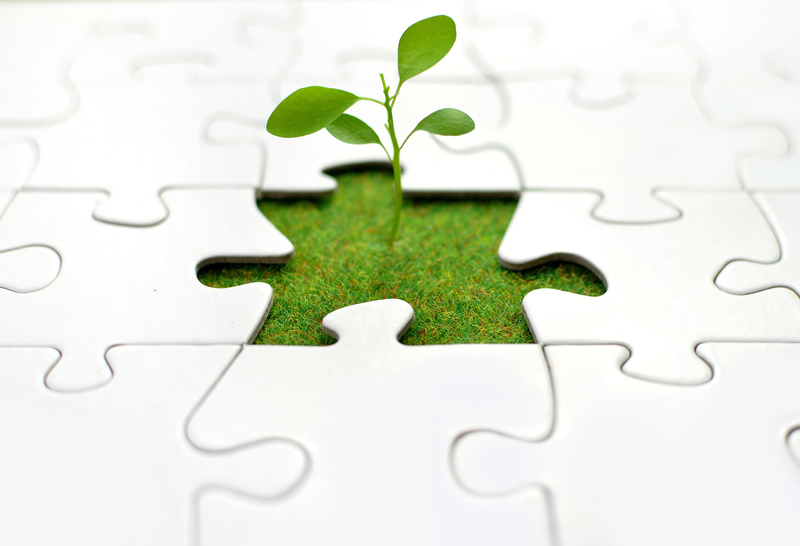 Alliance iTeam operates on a pay-as-you-go basis which means that you only pay for what you use, making iTeam an economically green solution. You can access the iTeam cloud-based applications and services without buying additional and/or managing existing in-house infrastructure or software. The pay-as-you-go nature and reduction in energy consumption of iTeam, means that your business will be able to cut expenses, reduce operating costs and generate more profit while adopting an environmentally friendly approach to business operation. The Alliances iTeam application provides your sales team with an easy to follow step-by-step process of executing the most successful sales tour. The use of advanced Global Positioning Satellite technology enables the Alliance iTeam cloud application to pin-point and track the movements of sales personnel as they conduct the timeshare sales tour. Not only does Alliance iTeam monitor the time and location of team members during the tour but it also prompts the sales person to utilize unique key selling. At each section of the tour the sales representative will be prompted to deliver the specific sales points, that iTeam deems most relevant for success, based upon the data acquired through the psycho analysis of the customer. The use of advanced GPS technology to track sales team members and provide sales pitch prompts also crosses over well into the training of new potential sales team members by filtering out those who lack the aptitude to follow automated tour instructions. The tour sales pitch prompts and instructions are based upon actual data, designed to maximize sale productivity. Sales tours can be logistically expensive and Alliance iTeam ensures that only the most suitable sellers conduct your sales tours. One of the many versatile tools provided through the Alliance iTeam cloud are fully customizable and interactive pitch books, compatible with any web enabled device. The digital pitch books allow you to individualize the sales experience of the consumer. Customizable pitch books which are fully interactive demonstrate the quantum leap in advancement of sales assistance that Alliance iTeam offers. Colourful high definition pictures and catchy content that can be displayed on any device from iPad, Android, Mac or PC. The high-tech delivery methods and buying incentives provided through interactive pitch books substantially engage customers more than their leather backed cousins. The benefits of digital pitch books our huge, especially considering that any error or necessary change can be immediately addressed without the hassle and expense of reprinting your entire batch of pitch books. The timeshare business is contact based and revolves around client interaction, therefore a highly efficient and functional CRM system that doesn’t break the bank is crucial. Alliance iTeam provides a Customer Relationship Management solution without the steep installation, maintenance and software costs. The CRM solution enables you to more precisely track, connect and interact with leads and customers and represents an legitimate investment for any timeshare sales or marketing business. Alliance iTeam CRM app tracks your entire businesses operation, customer updates, potential leads, contacts, real time analytic´s, workflow forecasts potential and actual customers, leads and business expansion opportunities. Eliminating the necessity of expensive software investments and keeping your business mobile in an environment that demands no less. The CRM app Offers multi-solution approach to CRM for timeshare businesses while dramatically decreasing costs and eliminates the disconnect between your business and its customer`s. Alliance iTeam incorporates advanced heuristic algorithms in order to open new markets that would have potentially been overlooked. Utilizing heuristic algorithms in order to surveil and analyse online behavioral patterns means that Alliances That Work iTeam is able to locate and connect with profitable consumers while bypassing dead end consumers. Alliance iTeams heuristic algorithms will also be able to offer analytic´s into the reasoning behind its differentiation between a profitable consumer and a dead end consumer. The AI marketing solution offers insights into consumer behaviour whilst online, providing valuable data on which to base your marketing campaign. The AI Interactive point-of-marketing app further adds to your marketing arsenal, as a multi-solution based dashboard. The AI app acts as the command center for your entire marketing operation including budget, demographics, campaign direction, analytic´s, target base and consumer insights. The personal information is processed through Alliance iTeams Psycho-Graphic Analysis and is then instantly evaluated to provide your sales team member with vital information such as, customer comfort level, Interest level, necessary sales path, probable buying obstacles, suitable rebuttal and hot buttons. Psycho-graphic analysis of every customer is a powerful sales closing tool, allowing you to increase comfort level, evaluate financial capabilities and provide a positive rebuttal for every negative response. The Alliance iTeam Psycho-graphic Analysis solution provides an answer to the conundrum of whether to train your staff in-house or simply out-source their training. Out-sourcing the training of your sales team is expensive and time consuming, while in-house training can be of a lesser quality than out-sourcing. Real time on-site data gathered through psycho-graphic analysis of sales presentation and tours coupled with the GPS sale pitch prompts, present an opportunity for in-house training. Providing your business with all the necessary tools, data and sales facts to facilitate quality a in-house training program and enhance the performance of your sales team. The first cloud based solution of its kind within the timeshare industry, featuring multiple applications to enhance every sales and marketing aspect of your business, has arrived in the form of Alliance iTeam. During the global meeting of minds next year at GNEX 2014, Alliances That Work along with the Association of Timeshare Recyclers will be demonstrating the mulit-functional and highly versatile cloud computing based timeshare solution, that will take sales and marketing of the timeshare industry to new heights. “The only “must-have” timeshare focused cloud based solution in the industry today is Alliance iTeam, that´s why it is creating such a buzz among industry professionals” Heather Guffin, President and C.E.O. of Alliances That Work – Alliance Sales & Marketing Solutions.